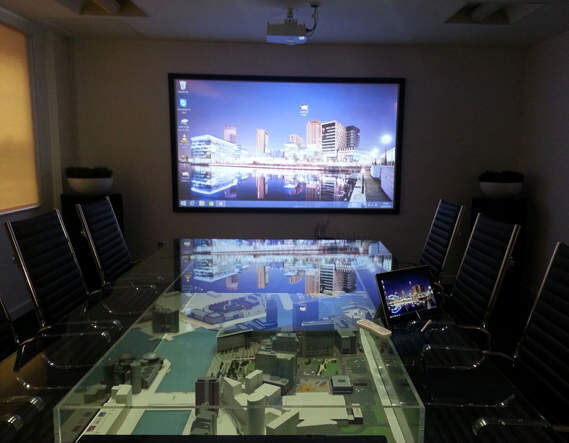 Задача: Peel Media Limited, owners of MediaCityUK, wanted to equip its meeting room with the latest technology to be able to wirelessly present high definition imagery close to the screen with no shadows. Решение: The bright EH200ST was chosen for the installation due to its HD 1080p resolution, its short throw lens and low price. It creates the pin-sharp detail needed for maps and plans. Результаты: Property managers have the freedom to walk close to the screen without obscuring the image with shadows. 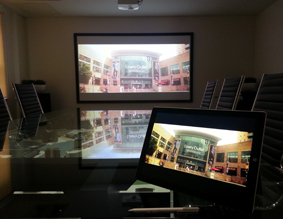 They can wirelessly present MediaCityUK’s HD marketing video from the Surface Pro and access a Powerpoint presentation or any other office document stored on the network.